Today is a legitimate TGIF because I'm not working this weekend (well, I probably will a little, but only because I really do love my work)! And another special thing about this post is it is my 400th post!! Whaaaaaa??!?!? Whoa!! 400 posts ago, back in the year 2006, I had no idea what this blog would mean to me, and all the fabulous people I would meet, the growth it would inspire, and the opportunities it would bring!! But to say this blog has been a blessing to me, would be an understatement. I am so grateful. ...which then ended up in this fantastic book by Jane Lock (page 116!!!)! What a huge honor! I have an extra copy and want to give it away. So just leave a comment and in one week (November 21), I'll draw a name from all the comments!! I realized that I have so many black/gray/white shirts and sweaters that I really need to step up the amount of black jewelry production! So that's all for now! Thank you to everyone who has walked on this beading and blogging journey with me so far! Congratulations!!!! And I would LOVE to win the book so I hope my name is drawn!!!! The earrings included in the book are gorgeous. Congratulations on reaching milestone 400! That's quite a wonderful accomplishment. Congratulations, Amy! For the 400th post and all your beautiful work! I'm so happy I've met you during this journey online! 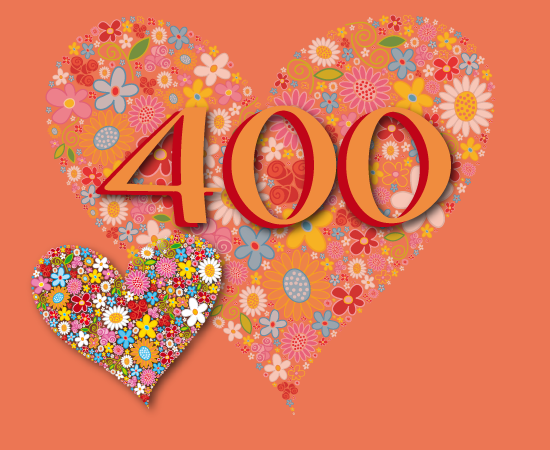 Congratulations on your 400th post, on your blog and for being published. 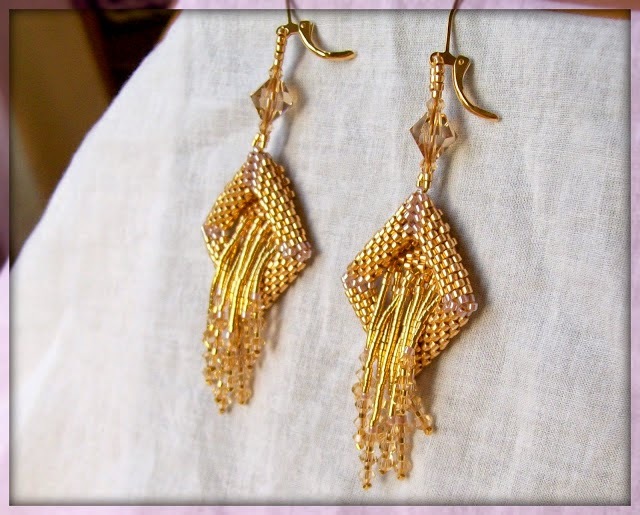 The earrings you've designed are gorgeous and Beyoncé could wear them as they are totally her style. 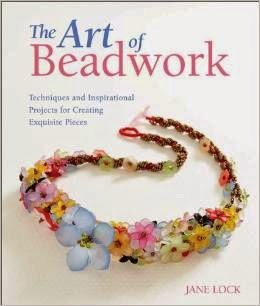 I would like to win the book because I love the art of beadwork.